Surprise your best gal pal with this fun Galentine Wine Glass! We all have those best friends who you wouldn’t trade for the world. 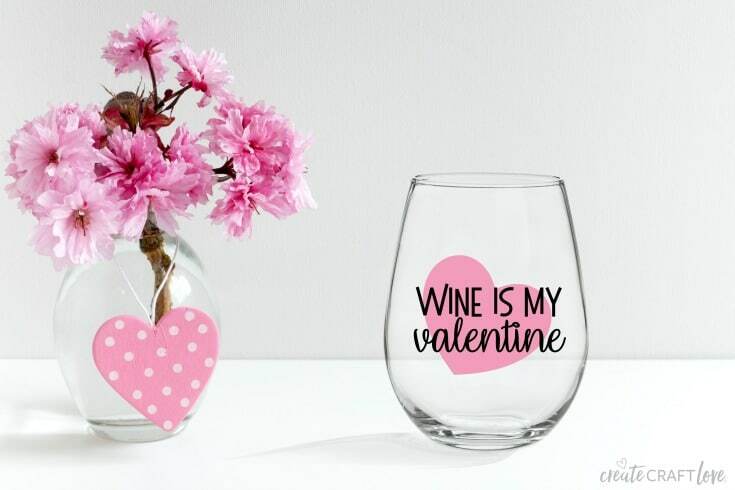 This Valentine’s Day show the girls how much you love them by making them this cute Galentine Wine Glass! It is so easy to make and will put a smile on their face. This post contains affiliate links for your convenience. Begin by downloading the free file below and upload into Cricut Design Space. Measure your wine glass and size image appropriately in the software. Once finalized, send the image to cut and follow directions for cutting. Weed excess vinyl away from image using the basic tool set. Peel back transfer tape and place directly over the image. Use the scraper tool to burnish image to the transfer tape. Gently peel the transfer tape away from the vinyl backing. The vinyl image should now be on the transfer tape. Arrange the transfer tape with the vinyl image on the wine glass. Burnish with scraper tool to adhere to the wine glass. Carefully peel back the transfer tape. Your image should now be affixed to the wine glass. 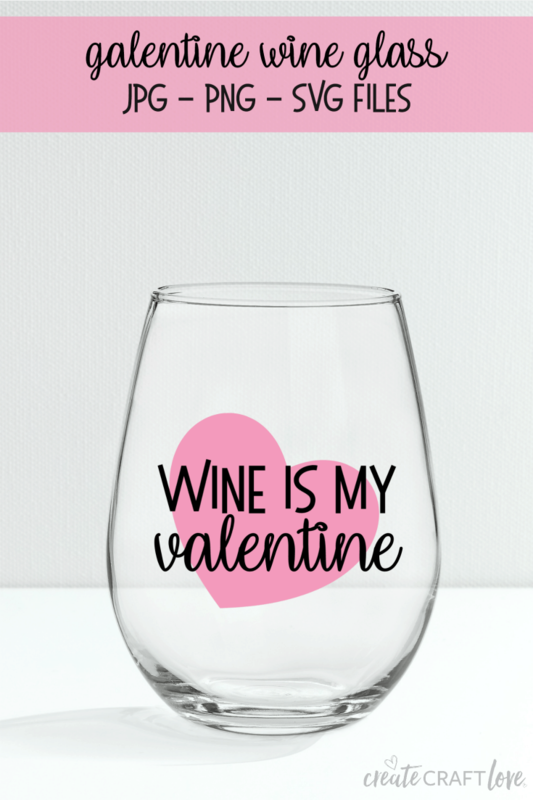 Click HERE to download your FREE Galentine Wine Glass file! All SVG files are for PERSONAL use only! Please do not re-sell, redistribute or claim as your own. If this printable is posted to the internet, please give credit and link back to Create.Craft.Love. Download directions: Click link above. This will bring up a Google Drive folder. Click the download icon at the top. This will save the folder to your computer. Simply open the file and print! YOU DO NOT NEED TO ASK PERMISSION TO VIEW. 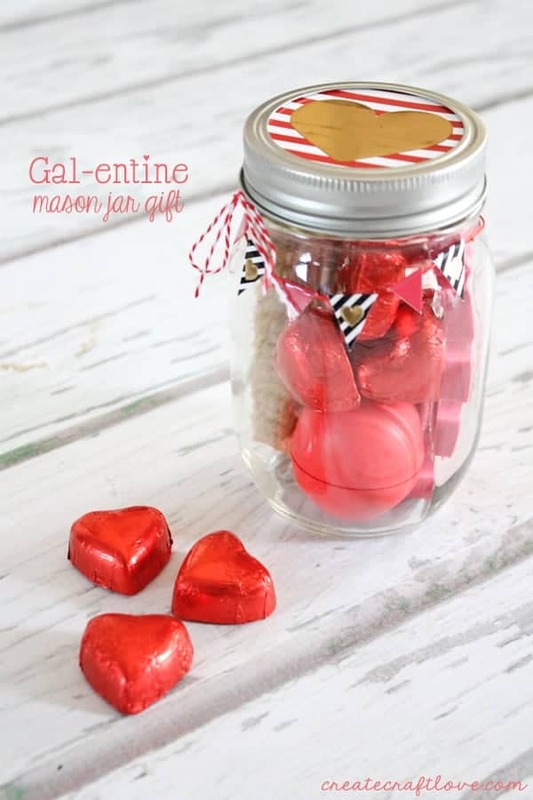 Also check out our Galentine Mason Jar Gift! Jill Fritz is a full time outside the home working mommy turned craft blogger. She offers craft/DIY tutorials for Pinterest addicts, craft junkies, DIY fanatics and busy mamas. Jill started Create.Craft.Love. as place to showcase her craftiness and to encourage others to do the same. Create.Craft.Love is a place where passion and creativity collide! Are you are a busy mom looking for easy crafts and recipes? I've got you covered! Never miss a craft, recipe or DIY project! Sign up below to receive our email updates!